Edgar Hoill's One Shot One Kill is a full-bodied Nicaraguan puro handcrafted to precision for a flawless smoke with deeply rich flavor. 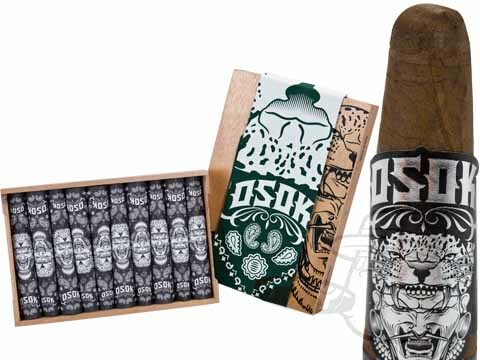 Edgar Hoill’s OG OSOK cigars introduce a bold and complex Honduran flavor profile to the EH portfolio. The product of over 16 months of extensive blend testing between Hoill and Christian Eiroa of CLE cigars, these potent puros captures the rich, earthy essence of Honduran tobaccos while continuing the tradition of expertly-rolled figurado cigars that the brand is known for.